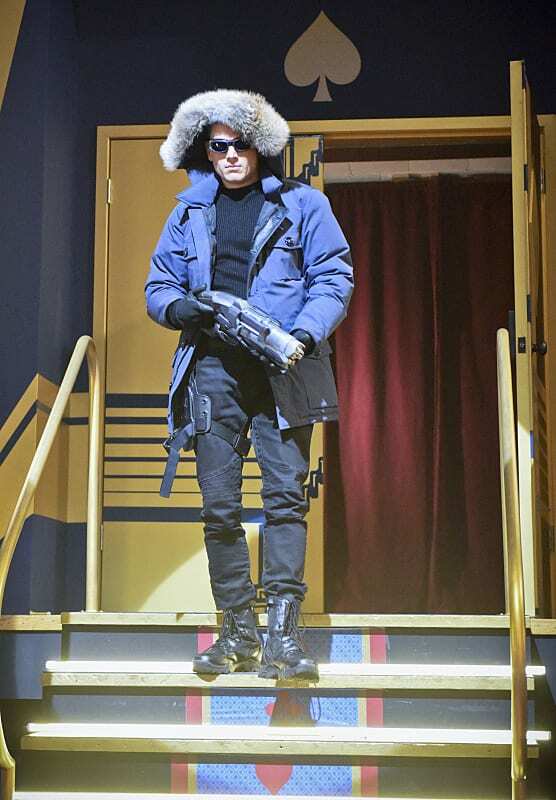 Captain Cold is all about the theatrics, and once the hood is up, he's ON! 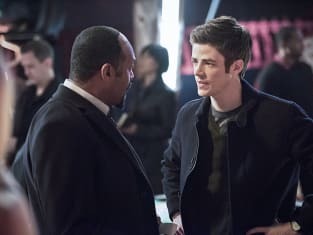 The Flash Season 1 Episode 16: "Rogue Time"
Tell the rest of the Santini family that there's a new godfather, and his name is Cold. Permalink: Tell the rest of the Santini family that there's a new godfather, and his name is Cold. Harrison: No! Do not tell me. I do not want to know anything about the future you experienced. Nothing. Harrison: Barry, time is an extremely fragile construct. Any deviation, no matter how small, could result in a cataclysm.